Now that Google has fixed the Burger King exploit, it's a great time to pick-up a Google Home. Today, Newegg has a pretty good deal for those looking for this smart speaker. 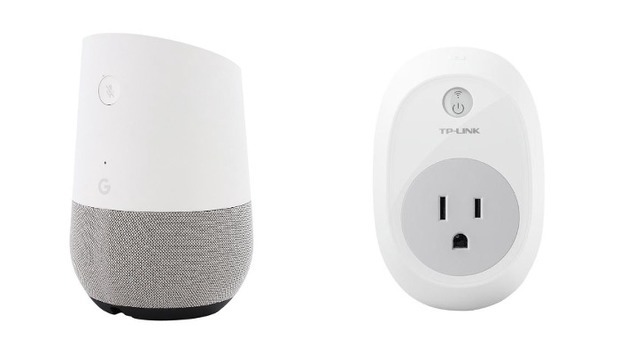 The online retailer is selling a Google Home and a TP-Link HS100 Smart Plug for $129. That's the purchase price of the Google Home, which means you get the $25 smart plug (street price) for free. As you might expect, the Smart Plug works with both Alexa and Google Assistant. That means you can use the Smart Plug to convert an item in your home into a voice-controlled appliance. It's a great tool to turn on a lamp in the living room or activate a coffee maker using a voice command--you could also set it to automatically power up at a certain time without Google Home. We wouldn't recommend using this smart plug with a PC, however, as suddenly cutting the power is not an ideal way to power down electronics. By itself the Google Home speaker is a great tool for quickly checking the weather, playing music, getting a personal daily summary, or entertaining the kids with knock-knock jokes and animal sounds. Rumor has it the smart speaker may also soon get support for multiple accounts.